Members of the Survey Corps have a tough job. Even they need to take a break and have a drink sometimes. Relax with this Attack on Titan Scout Regiment 16 oz. Beer Mug! 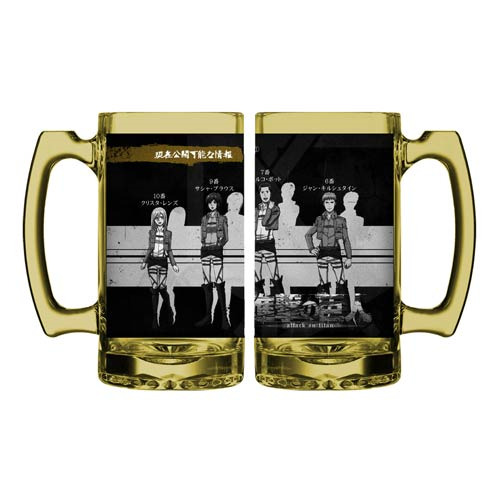 Featuring characters from the Survey Corps of the hit series Attack on Titan, this sepia toned beer mug will hold approximately 16 ounces of your favorite drink! Hand wash only. Not dishwasher safe. Do not microwave. Ages 12 and up.